Gosh, doesn’t time fly? Here’s some proof: Today we celebrate our 6th birthday. It’s hard to pick a highlight out of those six years, but the one most special to us is the way our readers rallied around in May last year when without their support we would have been forced to close our doors. Thanks to our wonderful supporters we were able to meet the costs of the site’s migration to a larger server and the web-hosting fees for another year. Nothing showed to us how much this site means to so many people. We thanked you then. We thank you again now. You are the reason we are celebrating birthday number six. When we opened our doors it wasn’t exactly with a bang. On Day 8 we had a whole 48 visitors to the site! Undeterred, we marched on. We had a job to do. Attracted almost 20,000,000 site views. In six years there have been 260,000 malicious login attempts from hackers. Most number of comments – Kaye Lee with 16,325. And our work is not yet done! In six years we have gone from just a few authors to a proud collection of thirty-two amazing people. Added to that we have published “guest posts” from hundreds of other fantastic writers. We are here because of them, the authors, and you. It’s our birthday … but you guys and gals deserve the plaudits. Those statistics are truly amazing and a tribute to both the site and the quality of the contributors. I admit to being sad that there are, apparently, so many people with either bad intentions or bad comments. So time-wasteful for your team to have to deal with them. This site will continue to be on my must-read list for 2019 so I wish everybody connected with it a safe, happy and prosperous year. A large part of my enjoyment in 2019 will be watching my amazing granddaughter, almost 15 months, transition from baby to little girl and helping satisfy her expanding curiosity. As per Ken. Perspective is everything. Thank you for this forum. It is one of my daily ‘go to’ sites, and I am happy to donate to keep it running, when I am financially able. Thanks Michael and Carol, and thanks to all the contributors, and those nameless people who keep the wheels turning. Overall, an excellent effort and a great forum. Thank you every one whose contributions allow this page to exist. Yes Michael, it certainly does. When you reach a certain landmark, the years seem to start speeding…. Agree with all the above. Heartfelt congratulations to all of you staff, contributes and all of us commentators for the interesting and inspiring articles and comments. A good and prosperous 2019 to the AIMN family. Happy Birthday AIMN. Your objective analyses of current political activities exceeds the now unreliable MSM in relevance and importance. And many thanks to the many posters who share their diverse experience and opinions on these matters. May 2019 bring us a better government than we deserve. 16,325 comments? Gosh I talk a lot. No wonder my house is so messy! It’s been quite a ride. Thanks to all who make this such an interesting place to chat and to those who keep us safe while we are here. And a particular thanks to Michael and Carol who are willing to spend so much time and money because they care about Australia and our place in the world. HAPPY BIRTHDAY to the entire AIMN family. Fabulous family, thanks for your hard work. Gee, Kaye Lee, make that 16,326! Shhhhhhhh don’t tell my husband. Congratulations and thank you for such an informative site. To provide this light in the darkness is a major achievement, the quality of the articles should make MSM journos ashamed of their pathetic offerings. And, of course, thanks to the several informed and informative commenters. A job very bloody well done. The AIM Network is my daily go to news site, I find it more informative and stimulating even than ABC, SBS, The Guardian, Washington Post, New York Times, Matilda and a few others I have considerable respect for. And when I compare the standard of journalism, editorial, critique and commentary and the significance of subject matter covered, it leaves News Corp and Fairfax standing like idle zephyrs, bags of wind with egg on their faces almost daily. It astonishes me still that the Daily Telegraph particularly, and the Australian to a lesser degree seem to get into every coffee shop in metro NSW, and I believe this is one of the key reasons why so many Australians fall over on the rampant lies, boring fiction and propaganda they are spoon fed daily. What’s worse people actually buy these rags and read them on the train when they could be reading poetry – Just bloody amazing! Just think how much better informed, fair and open minded, and constructive critical people would be if the AIM Network was visible in every one of these coffee shops instead of those monsters recking our democracy, fashion and culture – May be one day there will be an AIM News App that flashes across the LCD screens of our new age coffee houses, where once informed social and philosophical debate took place, rather than the blind commercial fast food feeds and slogans of the corporate empire. May the foundation you have laid, grow to replace these weeds and frauds. May the NETwork grow, become ever more INclusive and reflective of people’s daily lives and the important issues that affect them, ethical responsible journalism, without which there is no informed democracy or debate, and without this there is no good* leadership or government. May the AIM Network continue to champion the spirit of good* journalism. ‘Good’ – without qualification these days so often sounds wishy-washy, but like much of our fair language, such words and their meaning have been undermined and bled dry. But for me good has meaning; it echoes many constructs: Benevolent, for the better, genuine, constructive, fair, universal or egalitarian, unconditional, respectful, trustworthy, honest, truthful, balanced, meaningful, useful, helpful, kind, generous, friendly, clear, effective, inclusive, insightful, humble and even wise; it conveys both the spirit of intent as the thought or act itself – What other word conveys so much? Thanks to all concerned for continuing to shine a light into dark corners that Newscorp strenuously avoid talking about. The mainstream media’s loss is AIM Network’s gain. With that thought in mind, no matter how much Murdoch offers, don’t sell out. Will add again to the coffers next pay day. Michael and Carol, excellent work in very challenging times. Thank you all for your words of support. To say that Carol and I have been touched by your sentiments, would be an understatement. You make everything worth the effort. All too often we, who take appreciative turns on this hub of communication, can also tend to take it for granted. This year, verse providing, I’ll try to offer you some actual lodgings to make up for the last few years of squatting rent-free. Meantime, my sincere appreciation for your gracious and generous hospitality. Congratulations. They said we can’t make a difference. Time has proven those who criticise wrong. Keep up the good work Michael & Carol. Congratulations to AIM, the contributors and especially the below the line commentators. It cheers this old journo immensely to see your good work continuing in the face of the deplorable MSM and the bedraggled ABC. as the Floyd sang on Dark Side of the Moon. Yes Corvus. A rigged game…the pics were fascinating. Wait, what is this? . Bobbie Gentry, must listen one last time. Still Corvus’ music yields up….”Papa Was a Rolling Stone”. That leads us to who knows where? I have recovered somewhat and no longer offend, I hope??? IT’S TIME! – TO STOP . . .
IT’S TIME! – TO START . . .
A federal watcher would scare the hell out of some of the lnp crooks especially those that know they are crooks?? You and Carol have had great fun and have given me many images. Sept 5 2013 One of our correspondents has recently been contacted by a source close to the Liberal Party with allegations that Tony Abbott has been witnessed swearing at a can of peas. He was observed, and I quote; “lost it” when battling unsuccessfully with the can opener before hurling the half opened can at the kitchen wall. The AIMN is part of my daily news reading, one of 6 independent news sites which open automatically when I start my browser. No MSM for me! 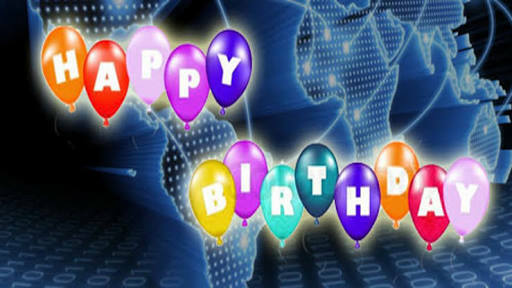 Happy birthday to all who make AIMN such a valued source of news, opinion and analysis.